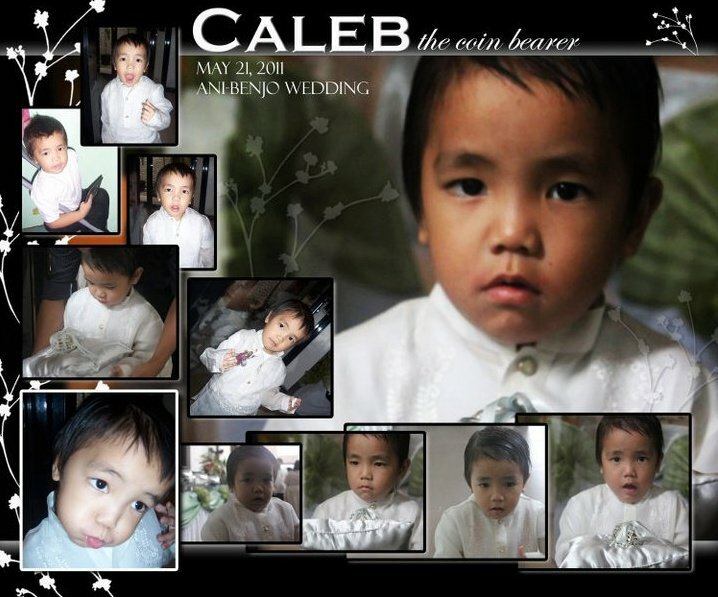 I love Caleb..actually not just me, but everybody else in the family… even friends and neighbors were so fond of him. 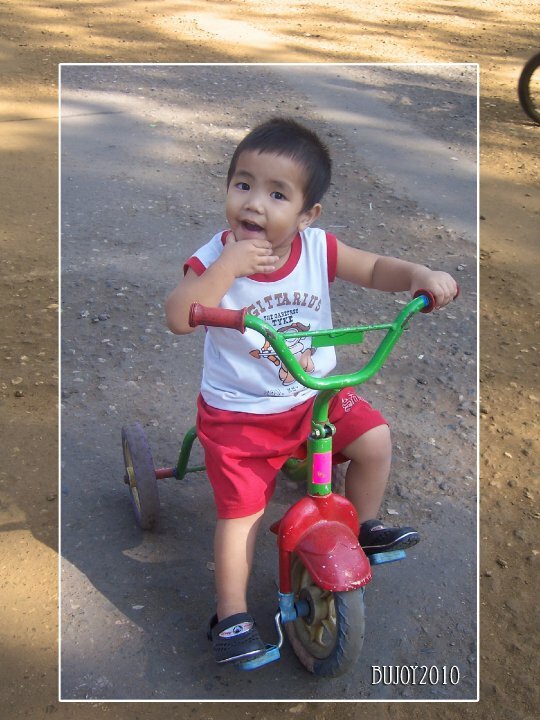 I even call him El Paborito at times, for he’s the only nephew that practically grew up with me.. with the Arda-Boyles family..
we’re all so caught up with our little bundle of joy! 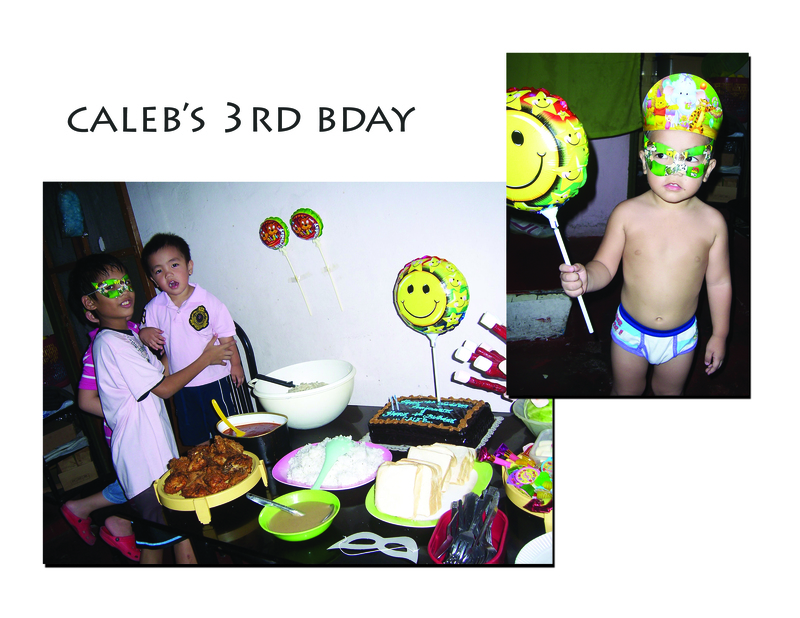 He was about 5 months old when he first visited us and stayed in our place for about a month…it was my Nikki’s 12th bday celebration and Caleb was here to party..lol! 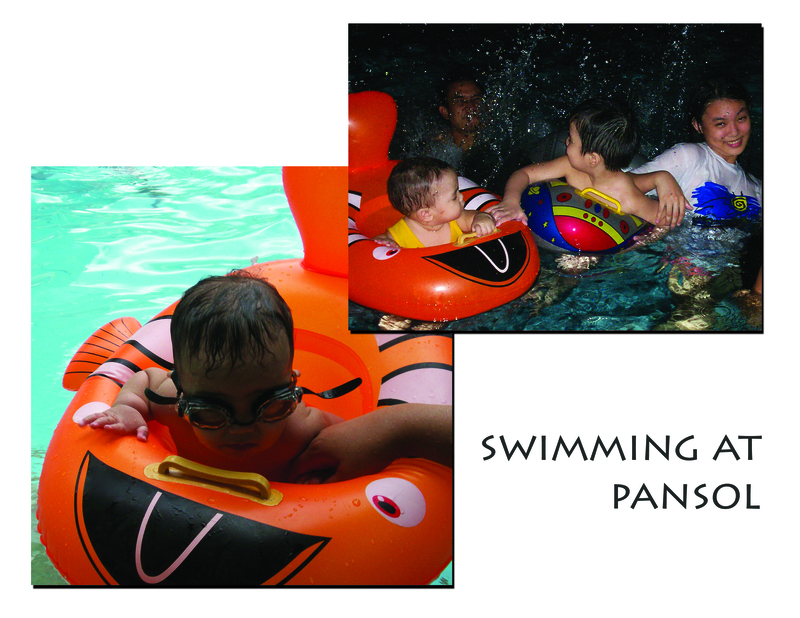 He loves the water…he can play around with it all day…Caleb’s cousin Macoy also loves to hang out with him..
(isn’t he lovable? 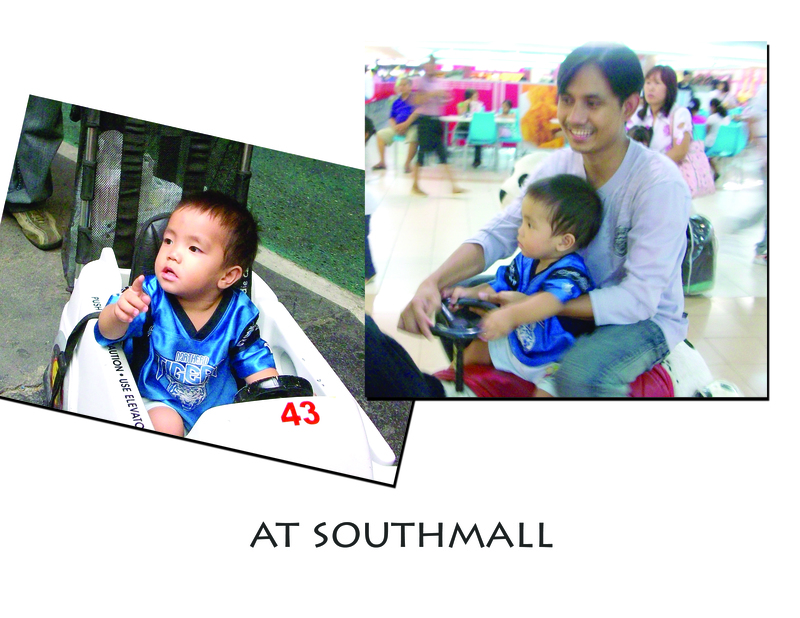 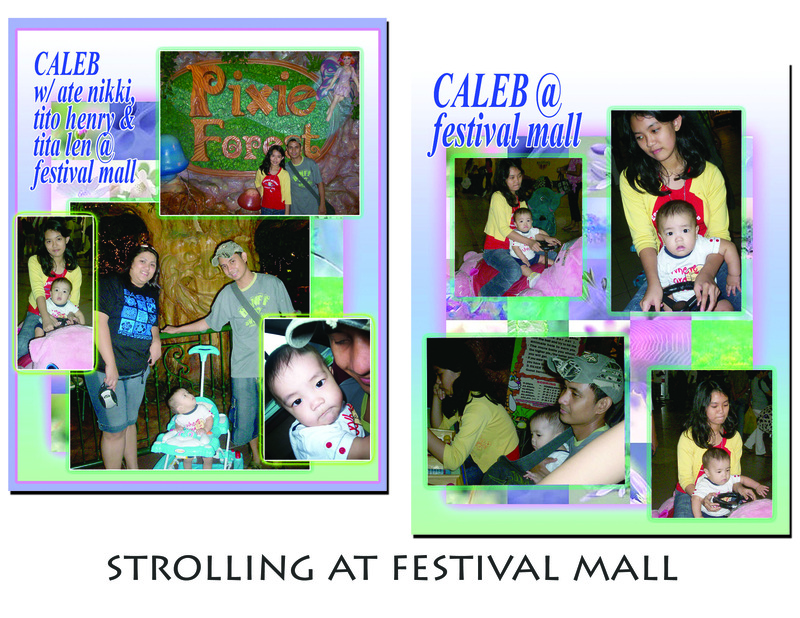 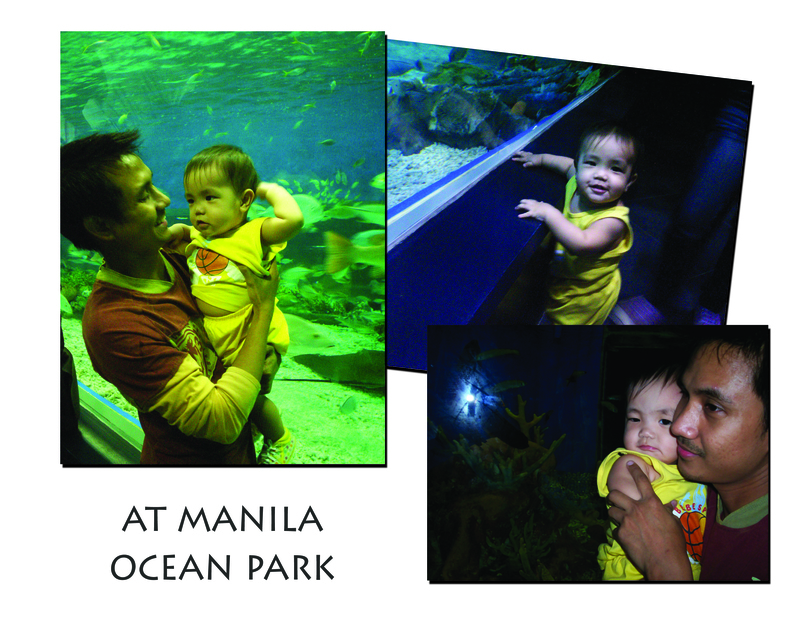 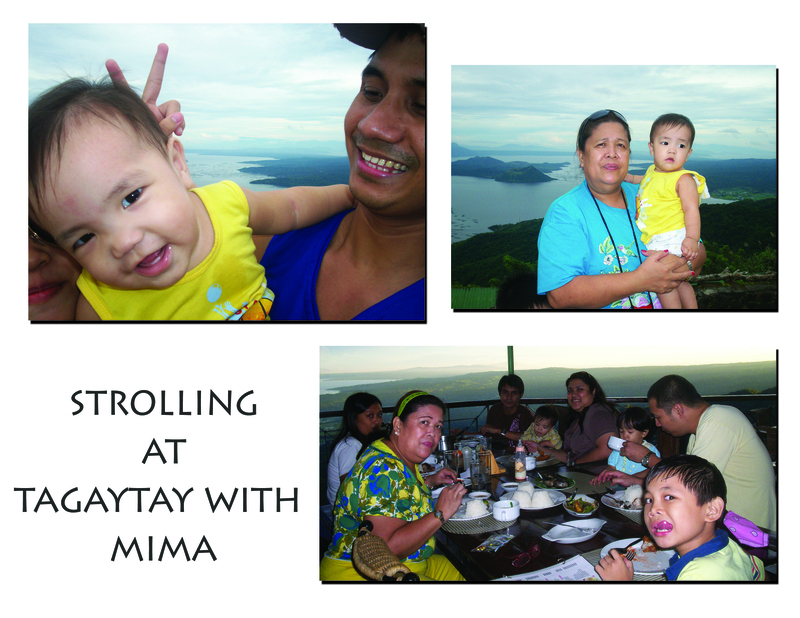 )..he’s just 2 yrs old here..and look how such a cutee Caleb is… so stunning..
..we also bring him along while strolling around Festival Mall.. 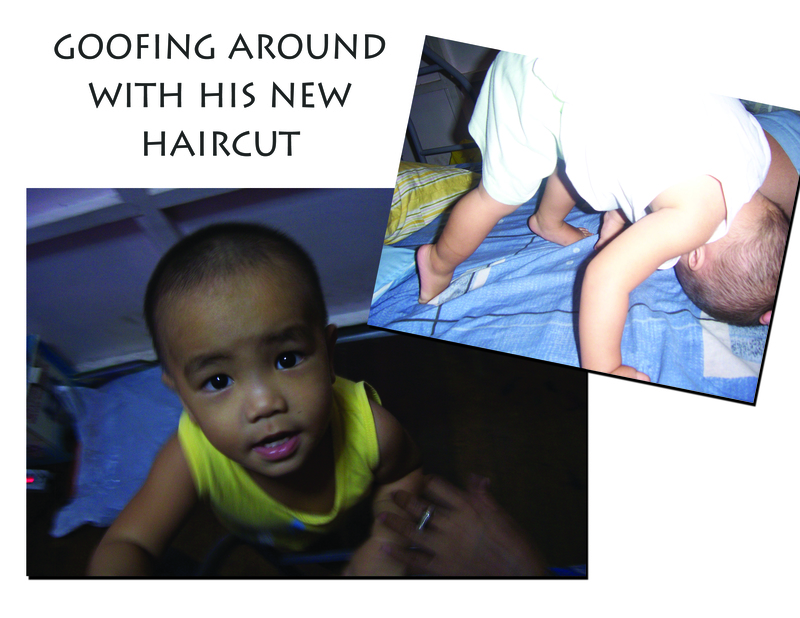 Still so adorable..with or without hair, heheheh!!! 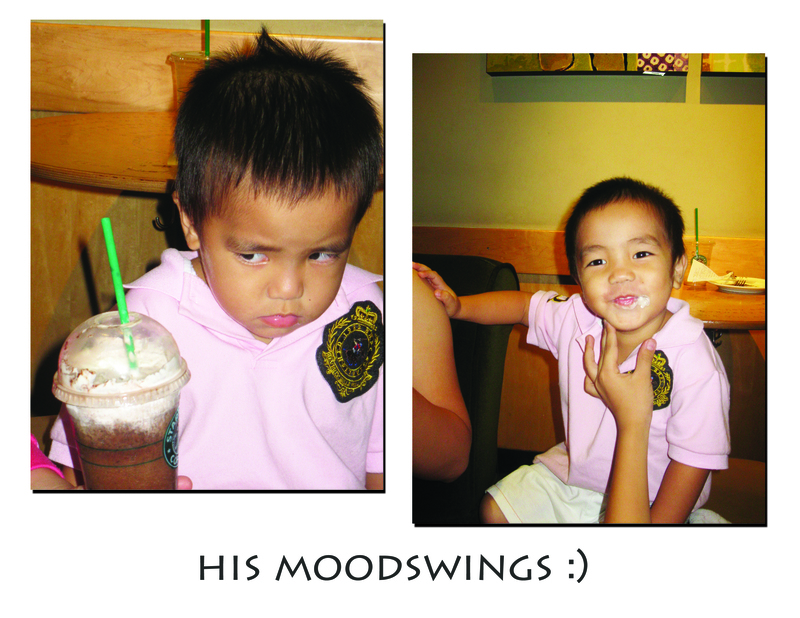 He even spends coffee time with us at Starbucks and throws crabbiness whenever we didn’t give in to his wishes…(btw..he wants the feel of the frappe :P).. this was after my 33rd bday dinner at Shakeys, UN Avenue.. 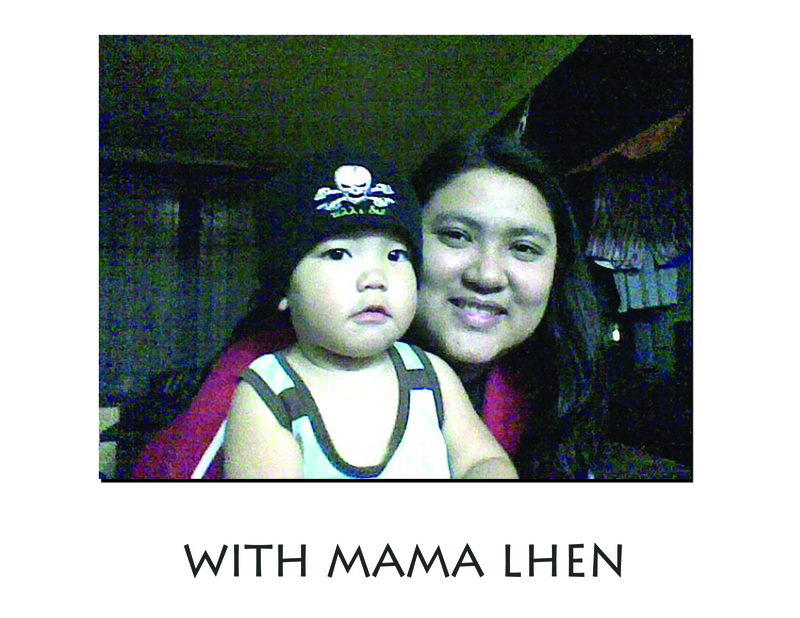 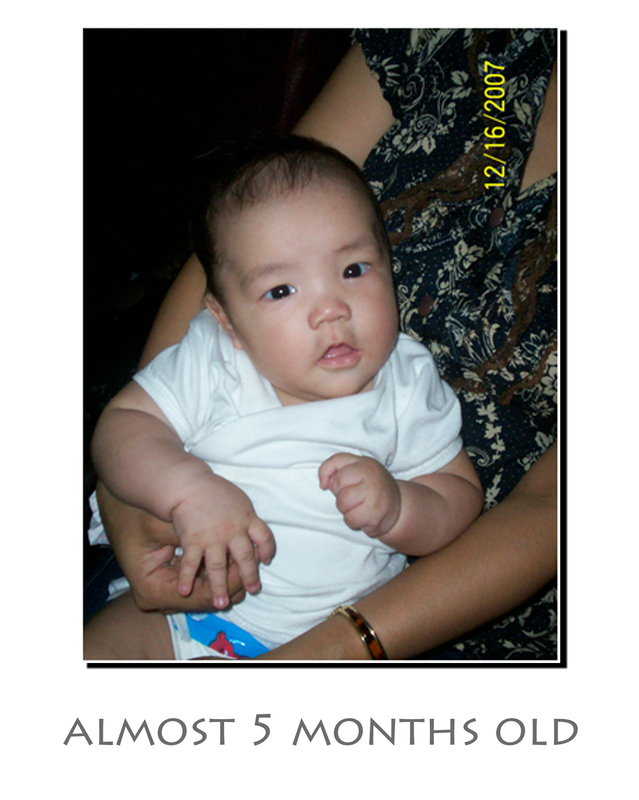 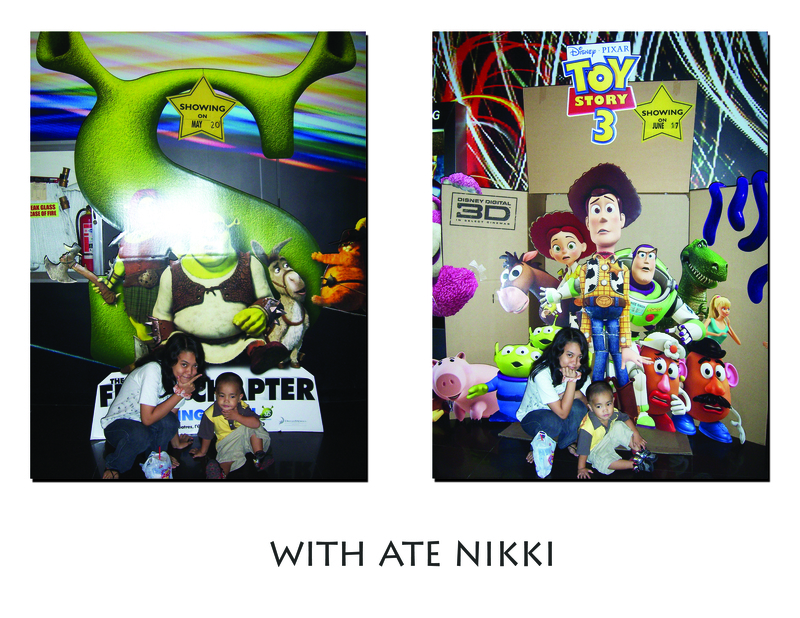 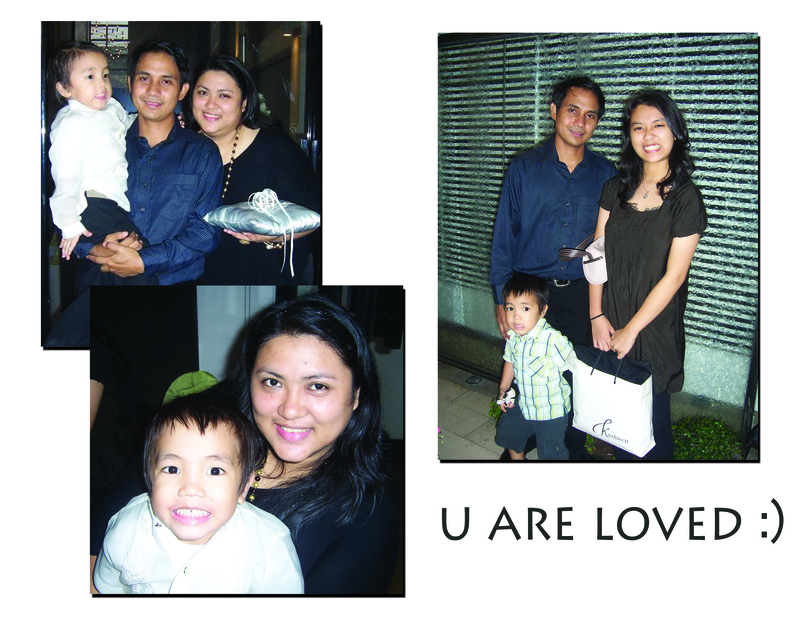 Ate Nikki also loves Caleb…who wouldn’t love such a charming baby? 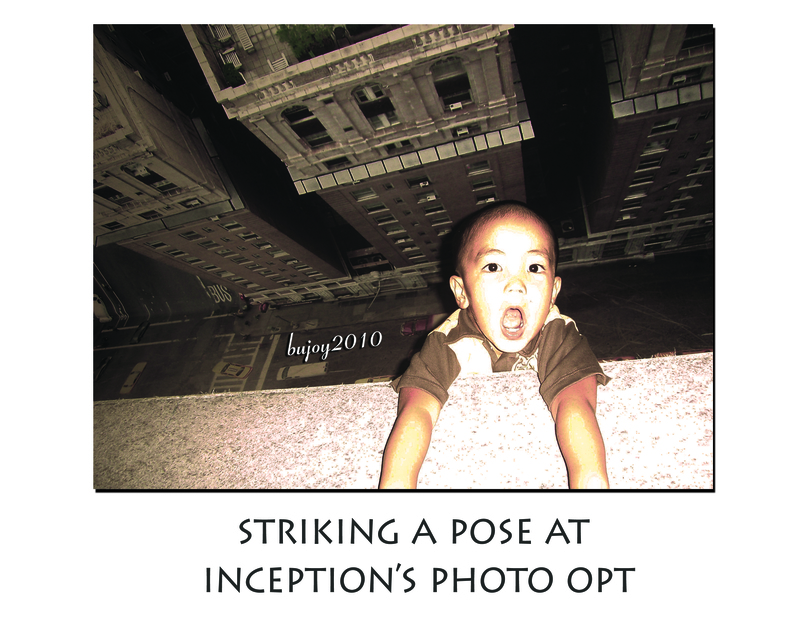 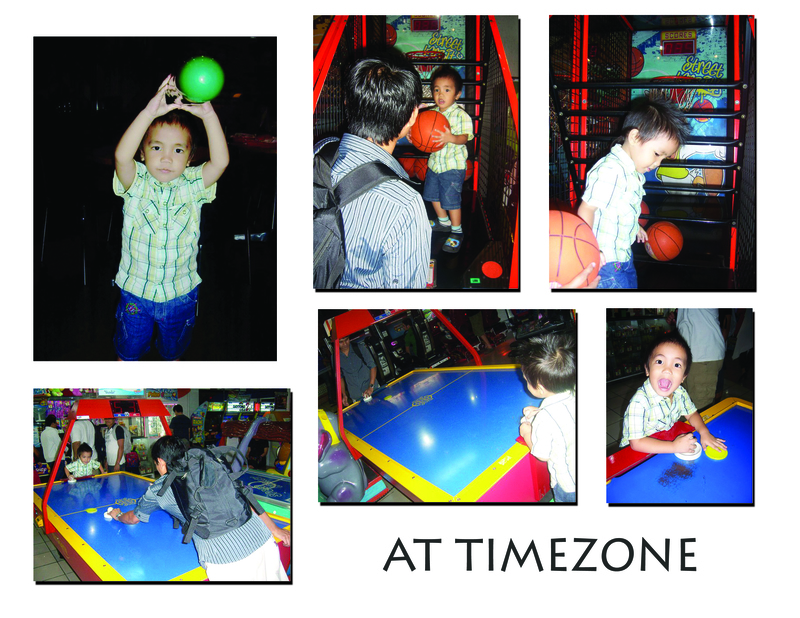 … he’s so fascinating..and with a good sense of humor too..
We also went to Baguio with Caleb for a vacation… played at the playground just across burnham park..
and went biking as well..
….this is where he can be at his best…the baby boy Caleb…during playtime at Timezone.. feels like he’s just like any other older guy there..playing basketball and contending with the rest of the guys. 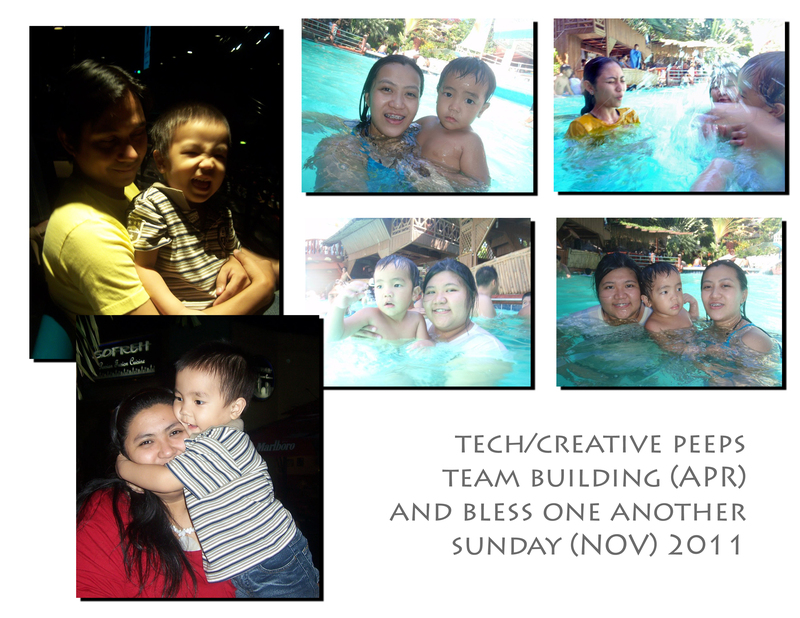 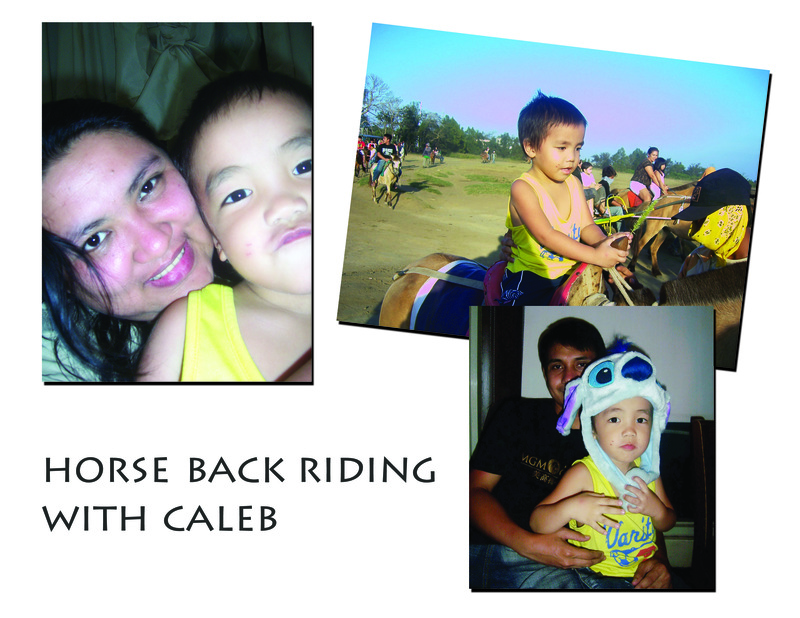 Last holy week, we went home to our place at Imus, Cavite and we went swimming and horseback riding at Tagaytay…and there again, the vigorous Caleb..who tirelessly plays around..so full of life. 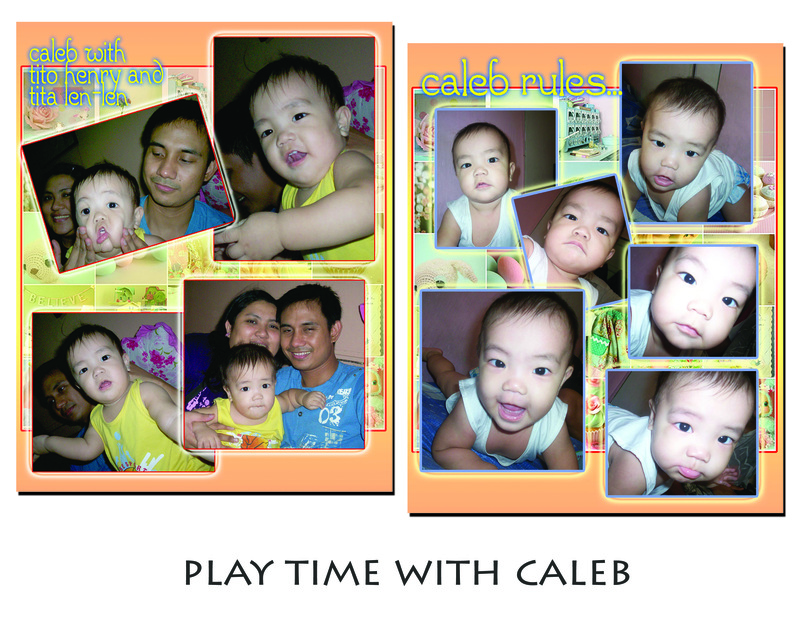 …maybe you wonder why we spend so much time with Caleb.. it’s not only because he brings joy to our hearts..but because we also hope to fill an empty space in his innocent heart.. (his parents we’re having some marital problems, and the least we could do is give him a family wherein he will feel much loved, secure and appreciated). 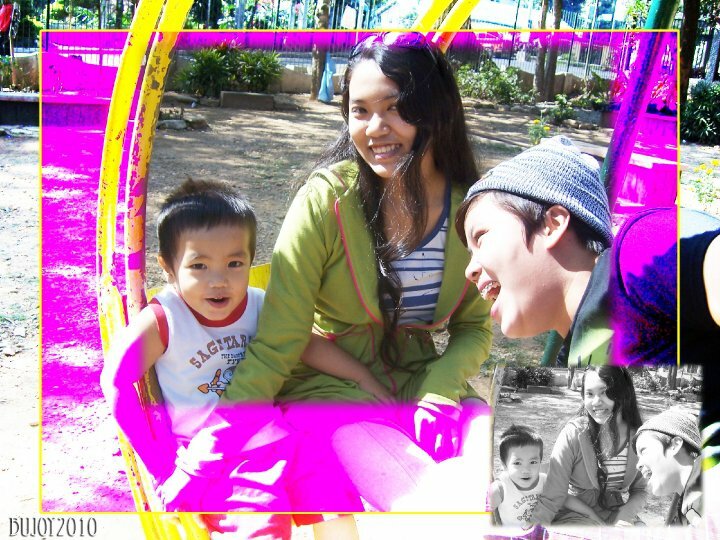 He doesn’t have to go through the confusions and hurt brought about by their present situation.. he may not understand the things going on around him.. but we can always be a family for him and the rest of his siblings.. 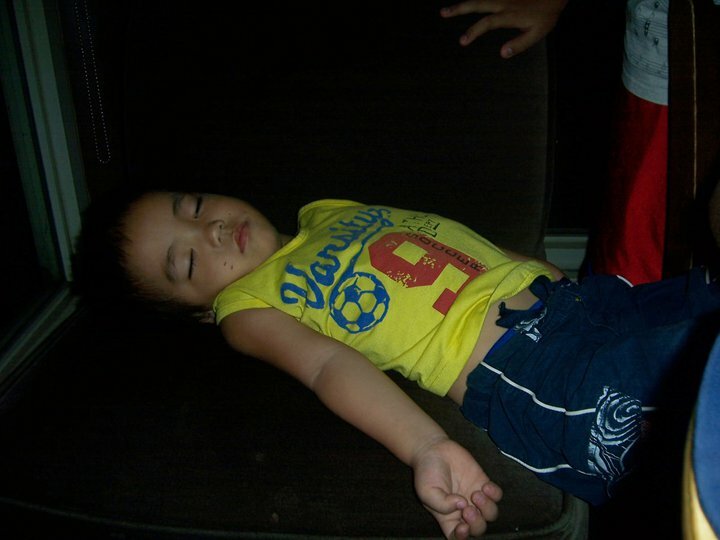 I believe God has a plan for Caleb’s life.. 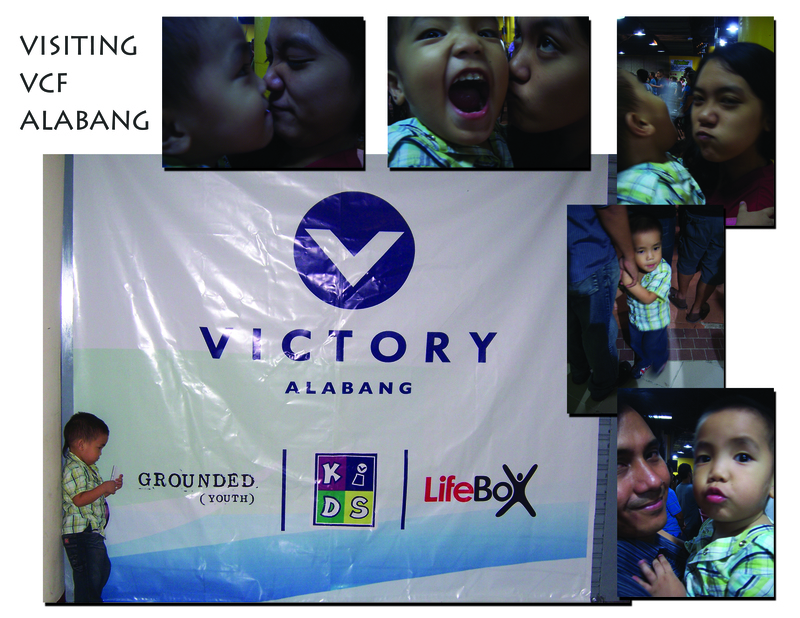 I just pray that God would continue to uphold the destiny that He has in Caleb’s life…Long journey ahead of him..but we can assure him that we will always be with him every step of the way..because Caleb..no matter what..U R LOVED!